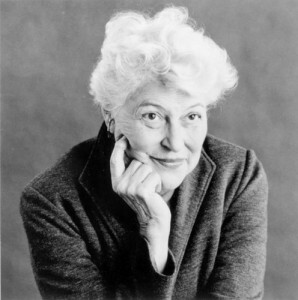 Nor did the values of authenticity and non-condescension surface only in her own books; she encouraged truth-telling and literary values in the many writers she edited in over 50 years at the HarperCollins Junior Books Department, including Pulitzer Prize winner Paul Zindel and Newberry-Caldecott winners Patricia MacLachlan and Paul Fleischman. The mother of two children (her daughter, Crescent Dragonwagon, is also a children’s book writer), Charlotte was married for 33 years to the Hollywood biographer Maurice Zolotow. The last 60 years of her life were spent in Hastings-on-Hudson, in the home where she raised her children. She could often be found sitting on the front porch or in the small backyard garden. Whether you’d like to know more about the many books CZ wrote, or her life as an editor (including books she edited, and authors she worked with); if you’re interested in the answers to some of the questions children asked Charlotte (from “Where do you get your ideas?” to “Do you have any pets?”) or if you’re a grown-up who wants to know what shaped Charlotte’s 98 years and read a brief biography, you’ve come to the right place.